Do You Know the Hiring Mistakes that Could Hurt Your Company? Your hiring process could cause problems for your business, but you can fix it. Hiring the right employees is hard work. From sorting through resumes and screening applicants to researching candidates and making an offer, the process is long — and filled with opportunities for mistakes. 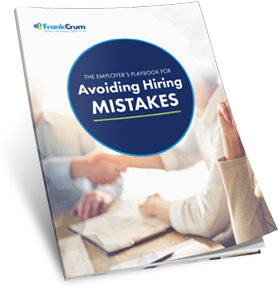 Even seemingly harmless hiring mistakes could spell trouble for your organization. Luckily, we’ve created a resource to help you avoid this outcome. Fill out the form to access your guide now.